Peter Dale Scott was born in Montreal in 1929. His poetry books are the three volumes of his trilogy Seculum: Coming to Jakarta: A Poem About Terror; Listening to the Candle: A Poem on Impulse; and Minding the Darkness: A Poem for the Year 2000. 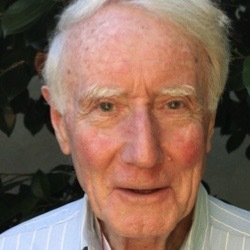 An anti-war speaker during the Vietnam and U.S.-Iraq wars, he was a co-founder of the Peace and Conflict Studies Program at the University of California, Berkeley and of the Coalition on Political Assassinations. Mr. Scott lives in Berkeley, California.